There’s a faintly oriental air to this online slot from Yggdrasil Gaming but the real hero of this story is the Monkey King and that’s also the title of this high quality game. There are some interesting bonus features included here and you can read all about them below. Monkey King is a five reel slot with three rows and twenty five fixed paylines; those reels spin within an ornate frame topped by a traditional Chinese roof; Chinese lanterns hang on either side. The high value symbols include some nicely drawn items – a pot, a scroll, a green tiara, a shield, a vial and a vase of stones; lower values are coloured playing card symbols – hearts, diamonds, spades and clubs. Winning combos can be formed from right to left as well as left to right. 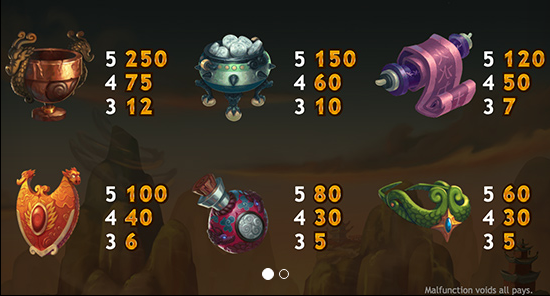 The Monkey King is wild, appears on reels two and four and it’s bonus abilities in more detail below; there are two bonus symbols – the treasure chest and the ‘free spins’ logos. This symbol appears only on reel three and when it does it will remain there for three spins, giving you more chances to create winning combos. This occurs randomly during any base game spin and the Monkey King will appear and change one symbols for another, resulting in a win (or a better win). 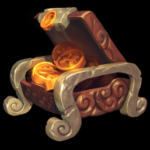 The Treasure Chest appears only on reel five and when it does you will receive a prize of up to 100x your line stake or entry into the free spins round. 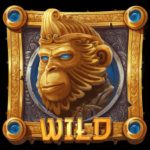 Incremental Wilds – Six free spins and with each spin a wild is added to reels two or four until there are six wilds on the final spin. 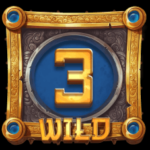 Stacked Wilds – Eight free spins and a stacked non-sticky wild may land on reels three. 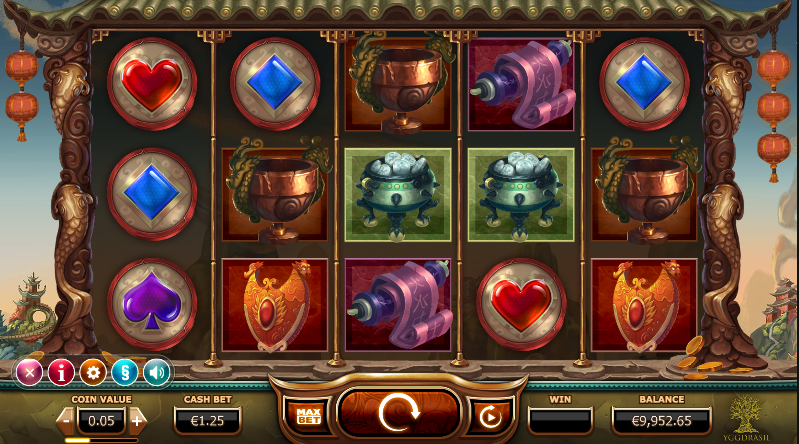 Starting Wilds – Ten free spins with one sticky wild in the centre position on reel three. 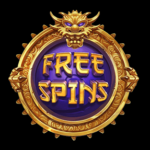 Monkey King is a really enjoyable slot – there’s always something going on so it seems as if you’re winning even if you aren’t really. Check it out, it has an RTP of 96.00%.